Every home has a toilet and it’s an area where things can easily go wrong. Today, we’ll identify 6 of the most common toilet problems and show you how to fix them if your DIY skills are up to scratch. If they aren’t, at least you can diagnose the problem and save yourself some time and money when the plumber arrives. This is one of the most annoying of all problems and one that everyone should be familiar with. After flushing the toilet, everything seems shipshape. Next time you enter the bathroom, though, you spot that the water level has dropped significantly. There are 2 common causes of this, the most extreme being a crack in the piping of the bowl. If this worst scenario unfolds, you’ll have no choice but to have a new bowl installed. Much more likely is that there’s some kind of clogging up in the colon. How To Fix It: Empty the bowl of all its water. Look up inside the toilet using a torch and a mirror to determine whether or not there’s a blockage. Usually, it will just be some toilet paper that you can poke through using a drain rod or something long and thin as a substitute. Not only does an endlessly running toilet sound like water torture, it’s a shocking waste too and could hit you hard when your utility bills come through. Rather than endure the constant sound of running water, take action immediately. How To Fix It: The usual culprit here is the toilet fill valve. If the valve is malfunctioning, the float device will not perform its usual shutdown when the water reaches the right level. 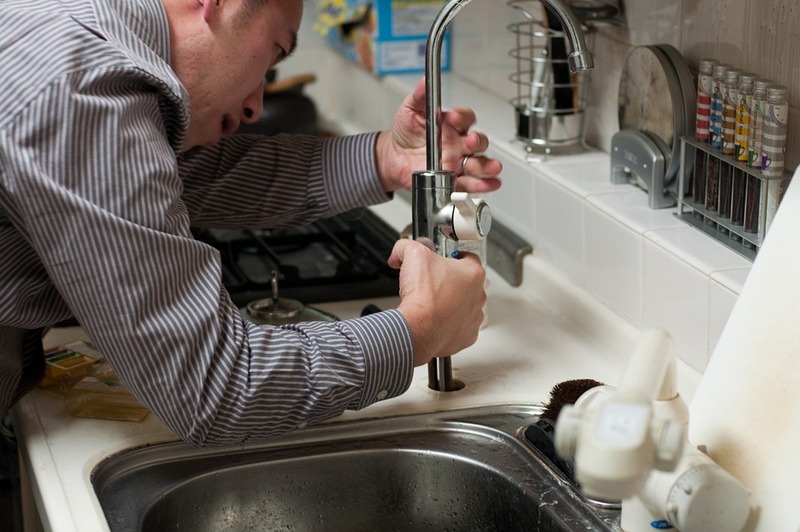 Adjust or replace the valve and monitor proceedings to check if that fixes the problem. If it doesn’t, you’d be well advised to seek outside assistance. The bathroom suffers from enough water anyway with all the condensation generated. How about if you walk in to use the toilet and see water puddled around the base? This type of problem won’t go away on its own so you need to take matters into your own hands. The last thing anyone wants is dirty water in a clean bathroom. Beyond this, if you neglect this problem, the water can easily damage your flooring. How To Fix It: Tighten up the bolts at the base of the toilet. This alone often fixes things. If there’s no improvement, the issue is likely to be with the wax ring. You can easily buy a replacement wax ring. Unless you’re comfortable removing and replacing the toilet yourself, though, we’d strongly recommend calling a plumber to take care of business. The stereotypical blocked toilet is a real headache and one of the most frequently encountered snags in the bathroom. Any type of waste thrown down the bowl has the ability to clog up the works. Since prevention is the best cure, it’s a wise time to suggest that you limit what you throw down there in the first place. Luckily, this type of blockage doesn’t need anything more than a strong stomach and a plunger. How To Fix It: If the toilet bowl is empty, fill it halfway. If it’s full, remove half the water. Either way, you want to operate with half a bowl of water in place. Use some towels or rags around the toilet to prevent any spillage seeping onto the carpet. Use a plunger to make quickfire thrusts and the blockage should dissipate rapidly. If you flush the toilet and find it’s very slow out the blocks, the most likely reason is that it’s clogged. Luckily, you can easily check if this is the case. How To Fix It: Fill a large bucket of water and upend it into the toilet bowl. If this gives the flush some added pace, the toilet is probably not clogged and you’ll need to take a closer look at the flush mechanism. If water backs up in the bowl after you’ve thrown in some water, the chances are the toilet is clogged. Refer to the above tip to unblock it. If you have a toilet in the bathroom rather than in a separate room, you might be familiar with the gurgling sounds that can issue from either the sink or bath. These noises strongly point to a vent pipe that’s been blocked by something tumbling down this pipe on the roof. If you’re feeling sprightly and you’ve got a ladder to help you access the pipe, you can check up on this before calling in outside help. How To Fix It: Attach a decent flashlight to some sturdy string or a piece of wire. Use a secure ladder to climb up to the roof pipe. Check for anything lodged in the pipe. You can consider using a hose to agitate and hopefully clear out the foreign body. Don’t feel bad if you need to call in the professionals for this one and only carry out these steps if you are confident working up high and have all the right safety equipment in place. Hopefully, you’ve gained some useful insights from today’s article that you can put to use next time your toilet plays up. Don’t hesitate to reach out with your queries or feedback. We’re here to bring you what you want and to help in any way we can.